Home » Products » Traveling Ionized Water Kit! Do you leave your water ionizer home when you travel? Maybe you don't have a water ionizer yet? I've put together this special deal for YOU! all you need is your drinking bottle and this kit! 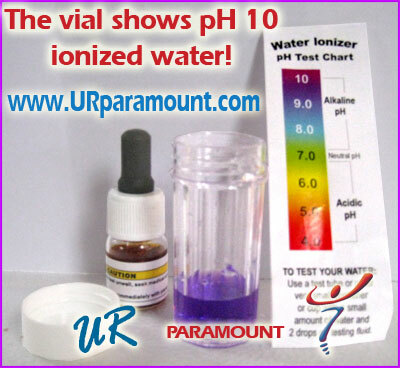 If you don't have a water ionizer, but want to try ionized water, this kit is the road to pH health! Read my BLOG post on this Traveling Ionized Water Kit! Get ALL 7 products PLUS FREE SHIPPING! PLUS, on your invoice, you'll get an offer for 5% OFF the ionizer of your choice! FIRST: Test the tap water pH, which should be at least 7 or 8 pH. IF, for some reason, You must use bottled water, certainly test that and if it is acidic, wait until you can locate better neutral or alkaline water. SECOND: Fill the filter bottle and gently squeeze it, squirting the water out through the drinking cap into your water bottle. This little filter removes the chlorine and dozens of other pollutants! THIRD: Then drop in 2 portable water ionizer sticks (1 per 500ml/16oz., 2 per liter/quart), shake the bottle 10 times, wait at least 30 minutes, and drink! The longer the ionizer sticks remain in the bottle, the more ionization. You’ll know if the water is too ionized, as the water will taste “briny” so just dilute it a bit with filtered water. This rarely happens. Remember that the amount of ionization is always dependent on the mineral content of the source water. Click here to learn how much ionized water to drink every day.